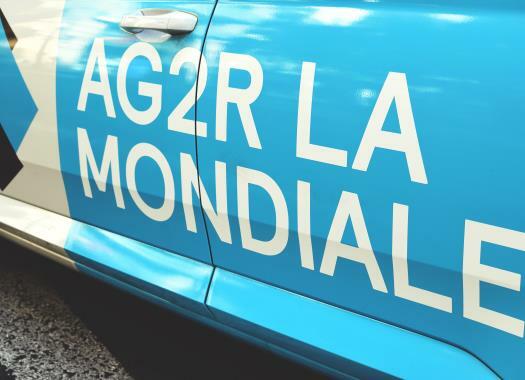 Romain Bardet and Oliver Naesen are the two cards that AG2R La Mondiale will play in Milano-Sanremo. The team aims of getting its first victory in a Monument race. The French and the Belgian riders will headline the French team at the Italian race and next to them will be Julien Duval, who will start in La Classicissima for the first time. "Tackling your first Milano-San Remo is exciting," the rider commented. "I'm coming out of Tirreno-Adriatico, and that race seems like the best preparation for La Primavera. I'm not too worried despite the distance (287.5 km). I have already raced 250 km races. It's a tough race, but it usually gets worse in the end. It is important to manage your efforts. We have two great leaders, with Romain Bardet capable of blowing up the race on the Capi, and Oliver Naesen, who could very well be in the mix at the final. It's very motivating." Milano-Sanremo will be the fifth race of the season for Duval. "I had a good start to the season, racing for the first time at the Volta a la Comunitat Valenciana and the Tour d'Oman, which gave me the chance to settle in, working smoothly with Oliver with a view to the classics," he explained. "We are entering a beautiful part of the season, with the races in Flanders. These are races where there are tons of fans on the road, with loads of tension and adrenaline. And then to race alongside a leader like Oliver adds to the pleasure. The goal is to win a Monument. And why not this Saturday?"